Mr. 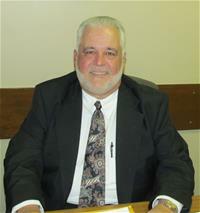 Booster Breaux represents the residents of Ward 8 in Assumption Parish. He began his term as Police Juror of Ward 8 in January of 2008. Booster has made his career in the Auto Sales industry, and is currently working at Barbera Chevrolet. He and his wife reside in Pierre Part. 2010 United States Census data shows there are 2,715 people living in Ward 8.